Anyone can use facial cleansers regardless of skin type, age, or whether you’re a man or woman. Even younger children can use a facial cleanser of some kind to rid the skin of dirt and impurities that can cause problems. The best facial cleanser will work for multiple skin types or have variations in its line to cover different skin types. It will also be gentle on the skin and not contain harsh chemicals that can cause irritation, dryness, or redness. 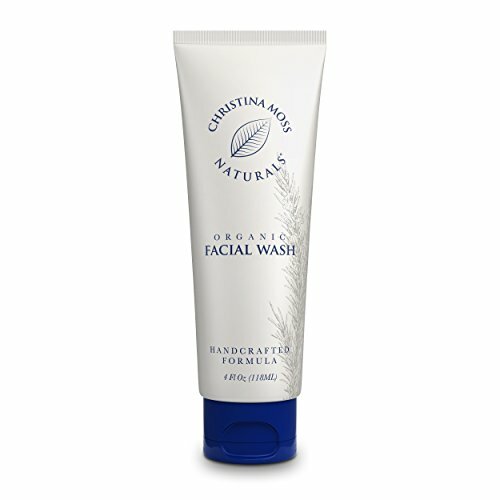 Our pick, Christina Moss, is a combination of many of the features the best facial cleanser should have. The older you get, the more important it is to find a good facial cleanser. Taking care of your skin is something that many men and women wish they had started a long time ago, but it’s never too late to get started with a good quality cleanser. There are many kinds of facial cleansers on the market, some are basic cleansers and others are designed for specialty cleansing uses. They also come in a wide range of price points, brand names, and types. Sorting through the hundreds of products on the market may seem really overwhelming if you don’t know what to look for. This guide will help teach you the information you’ll need to make a good decision that will benefit your skin and be gentle on your budget. One of the first things you will need to discover is what type of skin you have. This is the foundation for beginning your research and will be referred to by all the facial cleanser products you may consider using. This organic and natural facial cleanser is just what you need to clean the dirt and impurities from your skin in a gentle but effective way. Along with cleansing, this product will provide nourishing ingredients to the skin so it looks better the more you continue to use it. This very concentrated product lasts twice as long as other products. All you need to get a wonderfully clean face is a dime size amount of the cleanser and it works well for both men and women. This organic facial cleanser contains no preservatives, parabens, synthetic fragrances, dyes or chemicals of any kind. Its hypoallergenic formula works for all skin types and won’t cause problems like redness, excessive dryness, and irritation. Christina Moss’s facial cleanser is prepared fresh each week just like the rest of the company’s products. Due to this weekly, fresh packaging, this facial cleanser is guaranteed pure and fresh for 6 months after you purchase it. If you’re unhappy for any reason during those 6 months, you can return it for a refund or replacement. Neutrogena is also a well-known name in facial cleansers and skin care products. They are known for their gentle ingredients that are good for all skin types including sensitive skin. This cleanser is super gentle and provides a foamy product that gently takes dirt, oil and make up away. This cleanser is so gentle that your skin will never get too dry or too tight and it won’t leave any residue either. The fresh fragrance is hypoallergenic and free from skin allergens and irritating ingredients. If you have sensitive skin, it is the perfect cleanser to use and won’t exacerbate the problem even if you have conditions such as atopic dermatitis, eczema, acne, and rosacea. 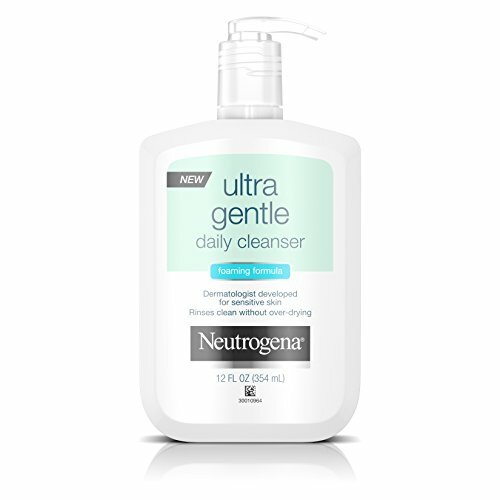 If you are suffering from sensitive skin or other skin issues and are looking for an all-natural cleanser that will work well to rid the skin of oil, dirt, and other impurities, this ultra-gentle, daily cleanser from Neutrogena will fit the bill perfectly. Your skin will be soft, clean, and free of harmful dirt that can clog pores and make your skin look dull and unhealthy. CeraVe is a well-respected brand in skin care that has been around for decades. This CeraVe Foaming Facial Cleanser contains all-natural ingredients including apricot extract, walnut shell powder, and corn kernel meal among others. You won’t have to worry about parabens, oil or sulfates causing irritation or dryness. It’s non-comedogenic which means you won’t have to worry about clogged pores either. This CeraVe Foaming Facial Cleanser exfoliates the skin and deeply cleans it to reveal fresh, youthful, and radiant skin. The exfoliation properties of this product help to remove dulling dead skin cells too. The apricot extract contains high levels of vitamin A and other important antioxidants. Another benefit to using this fresh, great-smelling facial cleanser is that it contains 2% salicylic acid that works within the pores to prevent blackheads and blemishes from forming while helping to clear up the ones that are already there. Since it is oil-free it won’t clog pores either. With hundreds of facial cleanser choices on the market, choosing the right one for your skin type and goals can be a real challenge -especially if you are not sure what to look for when researching. We have reviewed three excellent examples of high-quality facial cleansers that are designed to bring out the best in your skin without over-drying or irritating it. All three of these facial cleansers are all-natural and contain no harsh chemicals or ingredients that are known to cause skin irritations and dryness. If you want to learn more about how to choose the best facial cleanser for your skin type and needs, read the buyer’s guide below. The information provided in this guide will help you understand the different types of facial cleansers that are available so you can choose the perfect one for your skin. There are a few things you want to think about when researching the different facial cleansers available. We have listed these considerations below. What skin issues are you treating? – There are specialty facial cleansers that are designed for specific skin issues like dry skin, sensitive skin, rosacea, psoriasis, eczema and more. If you need a specialty cleanser, it is important to make sure you get one that takes care of your skin problems. Are you suffering from acne? – If you are struggling with acne, it is important to get a facial cleanser that will help clear it up and not make it worse. Be careful not to use a facial cleanser that is harsh and drying. Some acne facial cleansers use strong ingredients to get rid of the acne. If it still has some drying effects, consider alternating the acne cleanser with a gentler moisturizing cleanser. Are you looking for Eco-Friendly Products? – You will need to do your research to find out what qualifies as eco-friendly or natural. You want to look for facial cleansers that contain no parabens, chemical preservatives, artificial colors, or fragrances. You also want to ensure that the products have not been tested on animals. Gentle detergents – Look for ingredients like ammonium laureth sulfate and cocmidopropyl betaine which are very gentle. Sodium lauryl sulfate and sodium laureth sulfate are harsh and can cause irritation, especially if you see them at the top of the ingredient list. Irritant and drying- free – Avoid ingredients like alcohol, witch hazel, and menthol which may feel good on the skin at first but are drying agents that can make the skin feel tight and can strip away important moisture. Fragrances in small amounts can usually be tolerated but if you have sensitive skin you may find that the fragrances cause irritation. Proven ingredients – Look for ingredients that are known to work and be gentle. The shorter the ingredient list, the better the cleanser will be for your skin. Even though there are a lot of new products coming out all the time with new and improved miracle ingredients, you will more than likely find that it’s the simple cleansers, with basic ingredients, that stay at the top of the popularity list. Lather doesn’t equal effectiveness – We are predisposed to expecting cleansers to lather but this isn’t always an indicator of effectiveness. Some of the best cleansers on the market are more lotion-like in consistency and don’t lather at all. Matches your skin type – Look for products that encompass a lot of skin types. If you have oily skin, you want to be looking at products specially formulated for oily skin to get the best results. The same applies to having dry skin. You may want to purchase a cleanser that is creamy and moisturizing. Your skin type will play a large part in the type of cleanser you ultimately purchase. There are several different types of facial cleansers on the market that you can choose from. Facial cleansers can range in price, type of ingredients, and even consistency. Some of these choices are based on personal preference but others are best made when taking skin type into consideration along with any skin issues you want to improve. We have listed the most common types of facial cleansers below, along with some information about each type. Daily cleanser- Facial cleansers that you can use every day will, for the most part, be mild and gentle on the skin. They are designed to be used twice a day, morning, and night, to remove make up, dirt and other impurities. Another name for a daily cleanser is a face wash. Choose your daily cleanser based on your skin type since you will be using it every day. If your skin is sensitive, look for a daily cleanser that is specifically made for sensitive skin so there is not an increase in irritation. Skin Scrubs – Another name for a skin scrub is an exfoliator. These facial cleansers are created with granules that gently exfoliate the skin and get rid of dead skin cells that leave your skin looking dull and lifeless. Scrubs are not meant to be used every day since they can be harsh on the skin. Use them in place of your daily cleanser a couple of times a week for the best results. Some scrubs are designed to clean pores and some are meant to battle acne. If you want to add a scrub to your weekly regimen, look for one that addresses the issues you want to work on and don’t forget to match the scrub to your skin type. Skin Masks – This is another specialty facial cleanser that is used once or twice a week. A mask is applied to the skin, allowed to dry and then either peeled or rinsed away. Masks are excellent for reducing pores and firming the skin. They are very invigorating and leave the skin feeling fresh and clean. Masks are available for every skin type. They can also be designed to reduce acne and those with argon oil can prevent wrinkles and have an anti-aging effect on the skin that gives it a more youthful appearance. Facial cleansers are very important to the beauty and cleanliness of your skin. There are many different types of cleansers as you can see from the list above. All of them are designed to improve the skin in some way and help you deal with the skin issues that you want to eliminate such as acne, wrinkles, removing dead skin cells and much more. With all of these choices available it is best to determine what your needs are first, know what your skin type is and then create a regimen that will work best with that skin type and skin condition. The results of careful research and choosing the one that works best with your situation are beautiful skin that glows and looks and feels clean, youthful, and fresh.